I missed some big albums this year, as I do every year. It's become my thing. 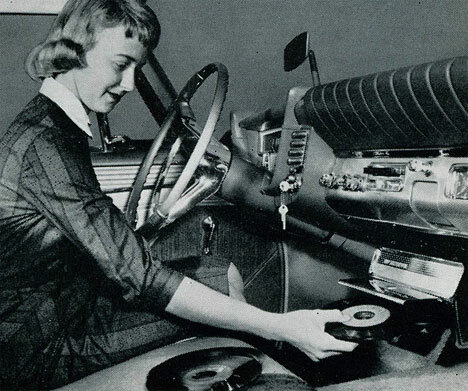 So you won't find any Tom Waits or PJ Harvey or Bjork on my annual recap of favourite albums. - I never get tired of this album. Listen after repeat listen, I become completely engrossed in the achingly lovely ballads and the insanely catchy guitar-driven rock. - I waffled for a long time before finally deciding that this would be my second choice. A very close second it is. This album is a rollicking, passionate feel-good blast of singalong goodness. 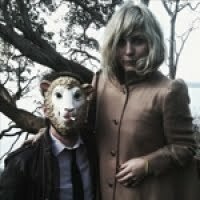 - boy-girl harmonies, exuberance, sweet melodies, all good. - Even those songs that start out restrained end up in handclaps eventually. Awesome. - The gorgeous sweeping drama that you expect from Beirut, with accessible and catchy melodies. - The husband and wife team of Luke Doucet and Melissa McClelland have gone in a surprisingly inventive direction, with lots of traditional touches. - Classic Wilco, nuff said. - The girls can rock, and I love the touches of rockabilly that keep this album surprising. - Not the best Radiohead album by any stretch of the imagination, but it has some touches of brilliance that save it from obscurity. - Wonderfully inventive looping sonic invasion. - Calvi's big voice, paired with cinematically retro arrangements, make this album feel like living inside a James Bond movie. Dramatic stuff. Let's see what musical goodness 2012 holds, shall we? 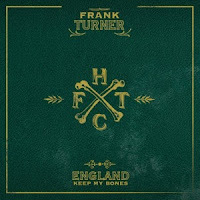 I am not familiar with Frank Turner, though a "rollicking, passionate feel-good blast of singalong goodness" is exactly what the Dr. ordered to cure my post-holiday blues. Can't wait to hear this. Like you, I adored the Decemberists album - every song is fantastic, and literally everyone in my family loved it (which is sort of rare). This is one I'll listen to still years from now - one of those standards you always go back to. I also didn't pay close enough attention to The Head & The Heart. This is why I love these list, as other people's passion for the music they love is inspiring. I love how everybody's lists are so different, and yet how we all share certain favourites as well, Matthew. It really speaks to the diversity, and yet openness, of our musical tastes. 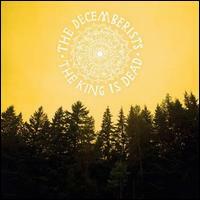 I too will be listening to the new Decemberists' album long after it because that really old Decemberists' album. Do let me know if you need any help finding Frank Turner. I should have made room for The Head and the Heart but there was just too much stuff! 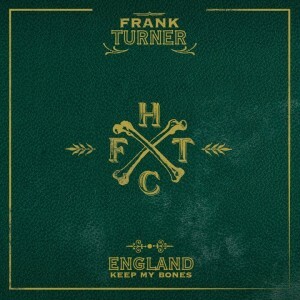 Great list, and I really need to give Frank Turner a listen...CD is in the car, the Black Keys just kept him at bay. There really was too much stuff, Al. I agonized over the Black Keys as well, but in the end, there was just not enough space in the rankings. And really, that's a pretty sweet problem to have. Isn't it curious how all of our lists reflect our individual personalities so vividly this year? The true nature of listing I suppose. The perfect balance of 'the head and the heart' that really goes into these things. You are right, the rankings within these lists do reflect our individual personalities, Sean, much as the collective lists reflect our collective personality as a group of music nerds. It's a common language that binds us. The Decemberists was also my favourite this year. Yay! I can't believe I'd say this, but, if you get the chance to play catch up, you should definitely opt for the PJ Harvey over the Tom Waits. I'm a huge Waits fan and I like the new disc a lot, but it still just seems like standard issue Waits. The PJ Harvey disc, on the other hand, is one of the coolest albums I heard all year. It was a strange but fun disc that I keep going back to. You have impeccable taste in music, John! That's quite a recommendation from a die-hard Waits fan, Remi. I've been hearing a lot of good things about Let England Shake. I'll have to seek it out. The Decemberists made my top 11, too. Such a great album! It really is, WC, and obviously it appeals to a huge range of musical tastes. Wonderful list, and great descriptions, as always, B! Jeff and I have yet to listen to a few of your picks...but thanks for giving me ideas on how to spend my iTunes Xmas gift card! An itunes Christmas gift card? Somebody in your house knows how to buy gifts, Susan! Happy shopping! Nice! I've been hearing so much love for Wild Flag, I really should check them out. And aren't The Head and the Heart wonderful? I had them in my list last year, I believe. And yes, can't wait for the goodness 2012 has in store (a new Sigur ros album, for one!). Was their S/T released in 2010, BAP? Mine shows up as 2011. Regardless, you are obviously head and shoulders above me in musical savvy! It makes me optimistic for you youngsters!